Cary, NC (March 21, 2017) – The Allscripts Tobacco Road Marathon (TRM) and the Feetures! Half Marathon has set a new mark for the event’s annual charitable contributions, bettering last year’s record-setting performance by $2,500 with a total of $130,000. The event weekend, which staged the eighth running of its two races on the American Tobacco Trail on Sunday, March 19, now has attained a cumulative total of $761,500 in charitable giving. “Now that we have eclipsed the three-quarters of a million dollars mark, we are more confident than ever of hitting our goal of one million dollars to charity by our 2019 races,” said 11-time Boston Marathon qualifier Kazem Yahyapour, who is president and founder of the Tobacco Road Marathon. This year’s marathon overall winner was Japhet Kipkoech, who resides in Louisville, Kentucky. Kipkoech’s time was two hours, 28 minutes, 47.227 seconds (2:28:47.227). The women’s marathon winner was Kari Springer in only her second marathon at 2:57:14.6. Evan Gaynor of Perrysburg, Ohio, won the half marathon, bringing it home at 1:08:34.173 with Sarah Rapp (pictured above) of Raleigh leading all women at 1:15.48.850. Full results are available through Finish Strong Series (FSS). 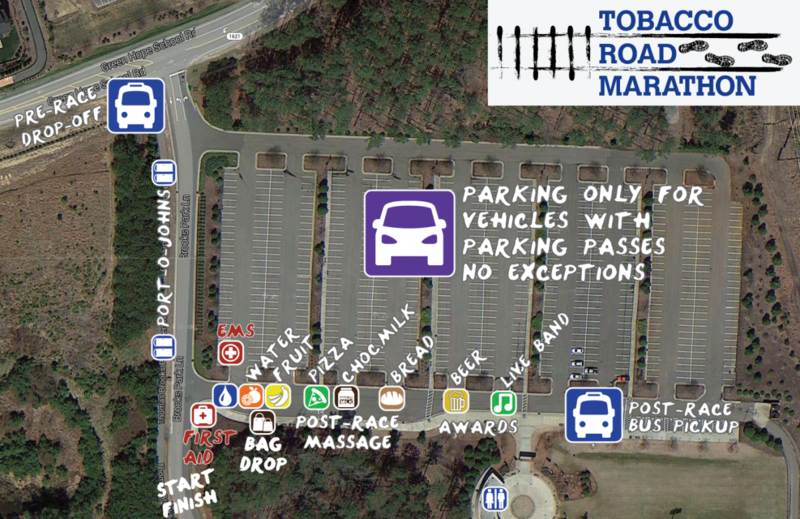 A complete list of the event sponsors can be obtained at the Tobacco Road Marathon Web site. The Tobacco Road Marathon board will open online registration for the 2018 race weekend earlier than ever before, coming next Monday, March 27.